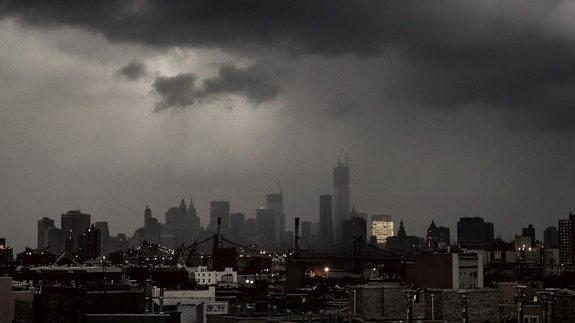 Frankenstorm - Were People Prepared for Sandy? This entry was posted on October 30, 2012 by tcarlson. Hurricane Sandy has already left over 8 million families without power, and estimates predict it will not return for up to 10 days. She caused devastation up and down the East Coast of the United States, in places tropical storms rarely ever touch. Stamford, Connecticut saw a storm surge 12 feet high. A dam burst in New Jersey, leaving several towns under 6 feet of water. Flooding such as that, as well as the high winds toppled cranes, trees, and parts of houses. Fallen power lines pose fire danger, and over 50 houses have caught fire for this reason. 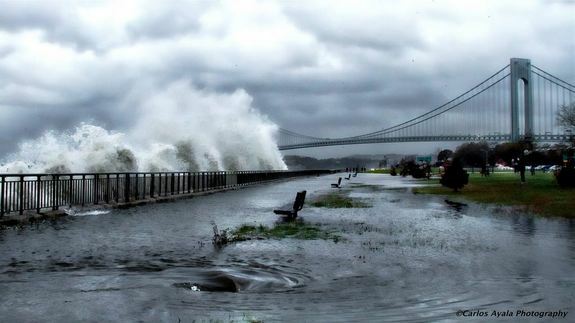 One third of the nation was hit by Sandy, and this was only one storm. Every year, dozens of hurricanes, winter blizzards, and earthquakes cause power outages around the world. Whether they qualify as “Superstorm” or not, all of us are at one time or another impacted by the power of Mother Nature. It is important to prepare. To help with this, Good Morning America today did a segment called “Cooking Without Power after Superstorm Sandy.” And for years, the American Red Cross has suggested that every family keep a disaster preparedness kit nearby with easy access. Here at Batteries in a Flash, we noticed that people were ready for Sandy to hit hard. Products such as portable power devices and inverters, as well as flashlights and solar light batteries were the trend leading up to this weekend. The Xantrex XPower Powerpack, for example, was a very popular, portable power source that enables people to stay warm and run some electric devices while waiting out Frankenstorm. We even saw people buying new batteries for their Two-Way radios in preparation. We have every hope that those in disaster-strike zones continue to head warnings from the authorities. As glad as we are to be able to provide power to a few individuals, it is always an amazing thing to see the ”Good Samaritans” all around us who give of themselves to rebuild. The damage caused may take quite some time to clean up. Debris, fill the streets and homes. Many places will have to wait for water to secede and power to return before they even begin the clean up. Already, though, the Red Cross has jumped to action. They opened up shelters in all effected states and have also sent almost 100 emergency vehicles with food and relief supplies. Even more than that, we see individuals sharing what they have with their neighbors, letting their surplus fill where there is a lack. What a beautiful attestation to human kindness and strength.